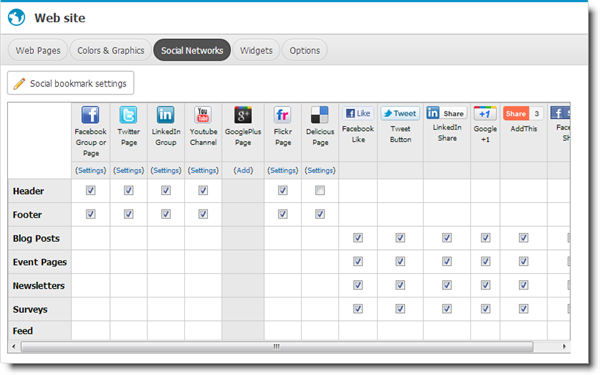 Click on the "Website" tab (in the manage toolbar), and select the "Social Networks" link from the menu. Select if you want the social media link available on the Header and/or Footer of the group pages. 5. 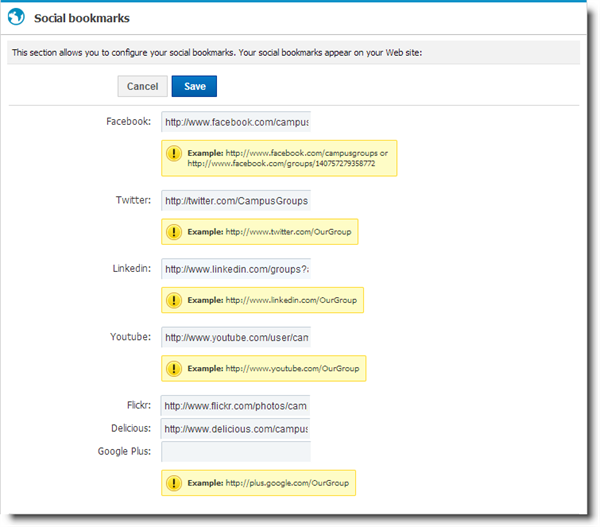 Then, select the 'Social bookmark settings' button. 6. Write URL of your social media in the correct text box. 7. Click on 'Save' and your website will include the new links and icons. NOTE: This is what also populates the "Follow Us" widget for any of your pages.